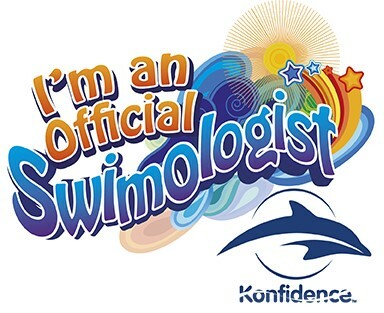 We are so excited to be Konfidence Swimologists this year. 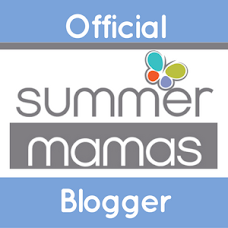 As part of our role I'm going to be sharing a little swimming diary, to document how Parker's getting on. How the lessons are structured. And most importantly of all... Is he enjoying it? Parker has always loved the water. From being born in the pool, to splashing in the tub, he's never been fazed by having water in his face or jumping in. He's never had proper lessons though. We're therefore thrilled to be having our lessons with Puddle Ducks, West Kent. "During Puddle Duck’s Baby & Pre-school programmes, our teachers adapt the activities to suit each child's individual needs. 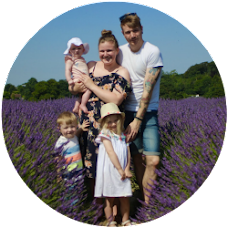 Taught in lovely warm pools with a maximum of ten children, our classes incorporate rhyme, music and movement based on extensive child development research." They have different classes depending on age and ability. Parker is in their Kicker class, which is for little ones aged 15 to 30 months. Lessons are only 30 minutes long, which although seem short is definitely enough. Despite turning up a little late, we were so excited for Parker's first lesson. He was unsure at first but that was expected.. it was a whole new experience for both him and Jack! There were no tears though, and he quickly adapted to being in the water. During the lesson they did a number of different fun activities. These were then done in sequence alongside a song. The teacher was really helpful and especially considerate of Jack, as she knew it was their first lesson. I love how they keep the lessons fun while still teaching skills. They really focus on key words, such as "hold on" and "kick", so they start to associate them with the activity too. The lesson was over really quickly, and I did think it felt a little rushed. But they did manage to do a whole range of different things, so that was probably why. We didn't have such a good start this week - we forgot the swimming stuff! Thankfully Puddle Ducks came to the rescue with spares (hence the pink swimming gear you see in these photos.. thanks guys!). Parker was also starting to become poorly so wasn't so up for swimming this week. He still managed to join in with all the activities though, and despite being a little clingy seemed to enjoy himself. They did similar things to week one including 'bubbles' and 'aeroplanes'. However the rest of the lesson focused on different skills. I think this is great as it makes sure they learn a range of skills, as well as keeping it fun for the little ones. Again the teacher was very understanding that it was only Parker and Jack's second week. During the 'kick and splash' segment she didn't make him go under (I was thankful of this! ), but she still made sure he was involved. This week felt much less rushed but still as fun. I managed to capture a lot more photos during the splash about time at the end too. I'm loving watching Parker and Jack have quality time together, and cannot wait to see what the next few weeks are going to bring.